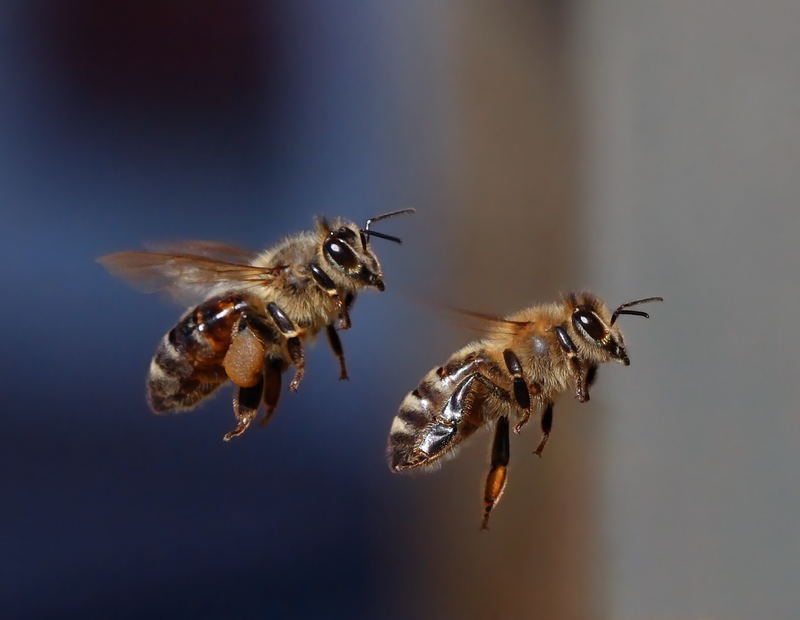 Home Science Does the European Honey Bee (Apis mellifera) Impact Native Pollinators? The European honey bee (Apis mellifera) is the bee species used by amateur and commercial beekeepers in the United States. It was said to have been introduced by early European colonists and it has been an important agricultural producer ever since, both in the realms of honey and wax production, and as a pollinator. Many people seem to believe that the introduced European honey bee may be a factor in the decline of native pollinators. I’m a big fan of native pollinators in my work managing land trust preserves, and I keep mason bee and leafcutter bee (Family Megachilidae) houses at our home in NW Connecticut. There are a LOT of native bee species, with something like 400+ in New England. A recent paper from the University of New Hampshire cited 140+ species in the White Mountain National Forest alone. That’s rather remarkable biodiversity. I have a pretty good working knowledge of the European honey bee from my undergraduate days as campus greenhouse/orchard/apiary manager. I’m also gearing up to reenter the beekeeping hobby because of the new Flow Hive technology (a true game changer in beekeeping). 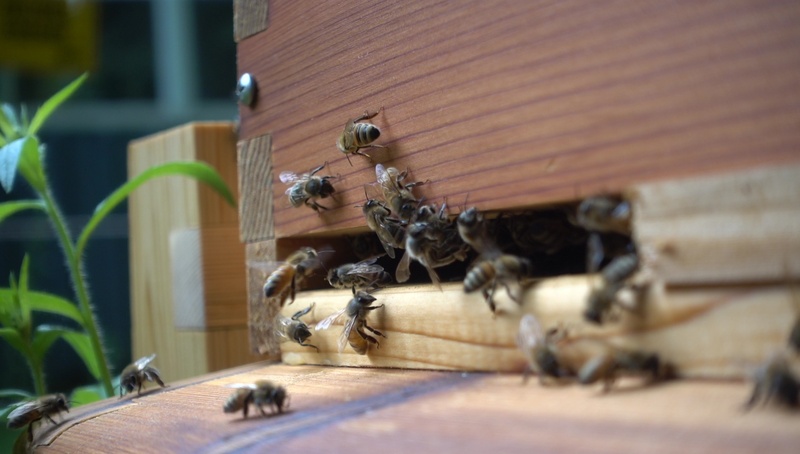 So, as a natural systems enthusiast, I was concerned about honeybees artificially increasing competition in, or displacing, the native pollinator guild. What I found from a review of the literature is that this is not clearly the case, at least in the realm of small-scale honey bee hive deployment. In my readings, I found that native bees tend to be oligolectic (each species uses its own narrow range of pollen-providing plant species) whilst the Euro honey bee is polylectic (uses a wide range of plant genera). The native bees, having co-evolved with each other and their native plants, have developed oligolecty to partition resources between each species to reduce competition, i.e., I’ll use this species and you use that species. The Euro honey bee doesn’t focus on any particular plant to the exclusion of an oligolectic bee. Different species of native pollinators also tend to work flowers at different times of the day – another form of resource partitioning. Many native pollinators are uniquely tuned to the temporal behaviors of their hosts. For instance, squash bees such as Xenoglossa and Peponapis are specific to curcurbits such as squash, melons, and pumpkins. They are up and working before sunrise to service early opening curcurbit flowers. 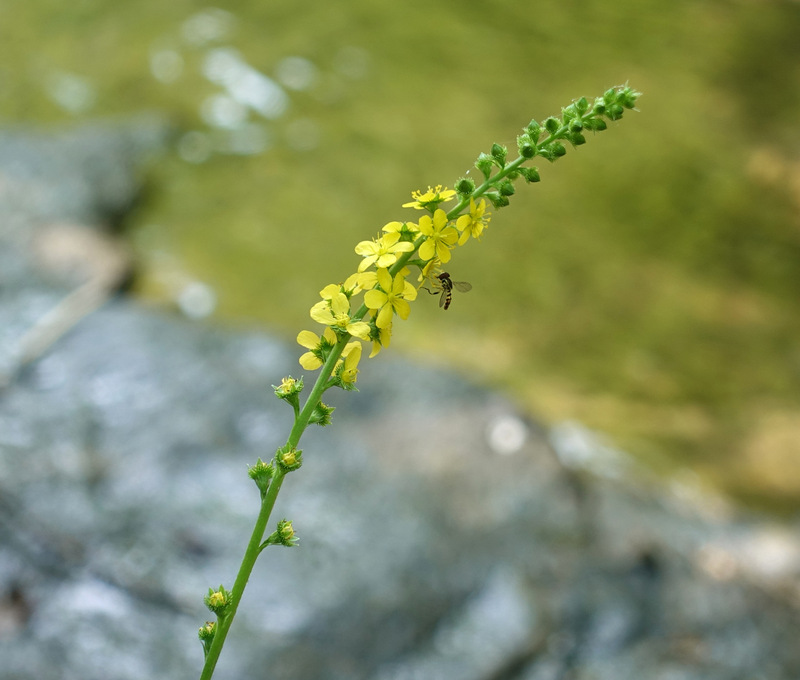 Other native pollinators have developed specific pollen-harvesting methods to deal with host plant structures. An example of this is the Maine blueberry bee (Osmia atriventris) that uses low-frequency sonication (buzzing) at 40Hz to 400Hz to liberate pollen from the unusually shaped flower parts of low-bush blueberry (Vaccinium angustifolium). They do this because the pollen-containing anthers of blueberry flowers are poricidal, wherein the pollen is contained within the anther tube and can only be dispersed through a small duct at the end of the tube. The buzzing shakes the poricidal anther and the pollen is ejected from the tube. Quite fascinating. Natives can work in cooler temperatures than honeybees, meaning that they are out earlier in the day or when cool spells prevail, when the honeybees are still in the hive, cold and stiff and waiting for the ambient temperature to rise. Honey bees, by contrast, are generalists with no co-evolutionary specificity to any plant species. And that works out just fine when you have an army of bees working together across a landscape. In contrast, native pollinators are mostly solitary. Honey bees also have a much greater daily range (1 to 2 miles) than native bees, reducing the point impacts of their presence on the natives. Native pollinator at streamside in Colebrook, NW Connecticut. There is a lot of literature indicating that honey bees actually improve the overall success of pollination across the landscape. One of the primary explanations is that natives, being out earlier and/or focusing on specific plants, deplete (but not completely) nectar or pollen in the plants that they visit. When the honey bees arrive, they test the flower, grab the leftovers, pick up and leave pollen, and fly off to the next plant, possibly facing the same situation. So they have to hit a lot more plants to get what they need. Thus, more visits to more plants = increased pollination. I have found a few papers, at this point in my studies, that do show the potential for significant impacts to natives from honeybees. They are focused on industrial agricultural scales, where hundreds of hives are brought in to work a crop. In these cases, the natives may be overwhelmed and temporarily displaced. I’m still doing my literature review, and will update this post if I find anything interesting. Thus, my take at this time is that in New England, the Euro honeybee can be a part of the ecological guild seemingly without bringing significant unintended consequences. This interim conclusion cannot be translated to large agricultural landscapes where migratory beekeepers deploy hundreds or thousands of hives. It is not a good idea to host bee hives anywhere near farms that use neonicotinoid pesticides (clothianidin, dinotefuran, imidacloprid, thiamethoxam, etc.). These materials should never be used around bloom season in any setting (farm, field, forest, home). Note that native bees are much more sensitive to neonicotinoid pesticides than honey bees. Which is pretty scary, because honey bees are really sensitive to them. There have also been recent studies showing that neonicotinoids can actually enhance viral pathogen reproduction in bees. All of this is a conundrum for me as I am a big fan of using imidacloprid root drench to treat big hemlocks for the adelgid (more on this treatment in another post). My readings also revealed that large open expanses of farmland are not good for native pollinators. Planting wildflower/meadow/shrub/tree hedgerows (“insectaries”) within larger fields actually improves the diversity and abundance of pollinators and increases pollination success rates. I like this idea and am looking forward to putting this one into action on some land trust farmland preserves either by salvaging and improving hedgerows (often overrun with non-native invasive plants of no use to native bees) or by creating insectaries. I urge fellow land managers to consider this work as well.